The French really know how to dress up a salad. I ate a dish just like this in Paris a few years ago, and I’m thrilled with how my recreation turned out! Thanks to Laura Calder for the recipe, which is really just an extravagant excuse to eat bacon and eggs for lunch. All the fatty, breakfast-y glory of the bacon and eggs, served atop a salad that helps you rationalize away all your nutritional doubts. One suggestion: to avoid wilting leaves and a hardening egg, this salad should be eaten immediately after it’s prepared. I’m betting you won’t have a problem with that. 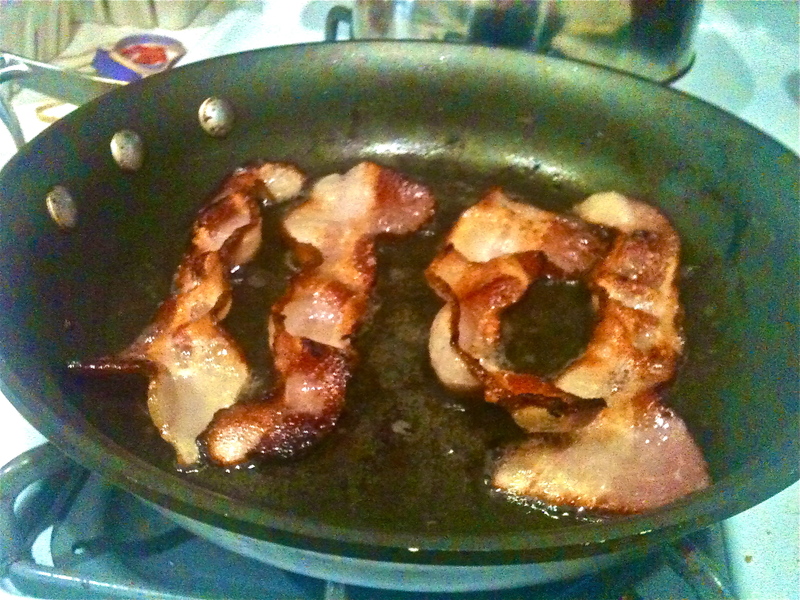 Cook bacon to your liking and remove from pan. Crumble into pieces and set aside. On low heat, add 2 tbsp vinegar to bacon fat and boil to reduce to about a tbsp or two. Then add enough olive oil to the pan to make a dressing for the arugula and stir. Remove from heat. Meanwhile, poach the egg: heat a pot of water with a splash of vinegar until it’s about to boil. Crack an egg into a ramekin. Stir the water gently so that it flows in a circle and gently pour in the egg. Poach until the white is cooked but the yolk is still runny. Remove from water with a slotted spoon. 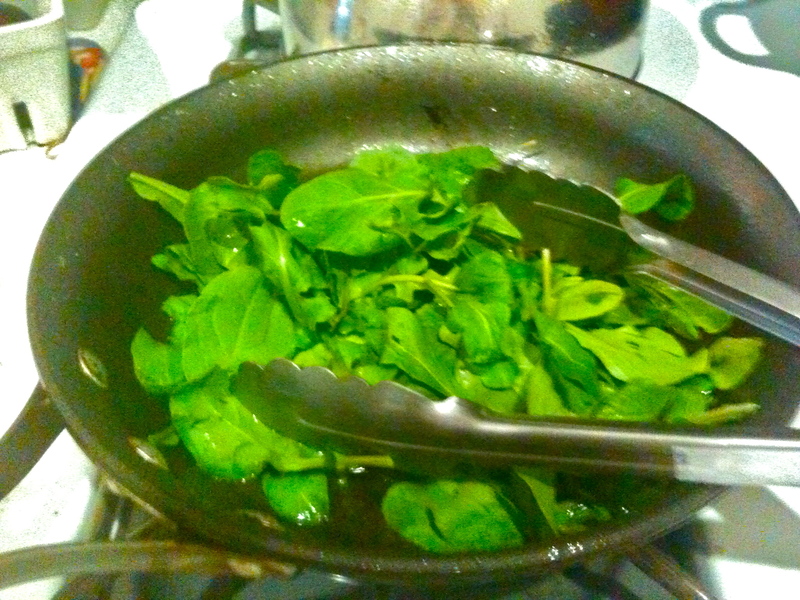 Toss arugula in the pan of warm dressing. Then, assemble! Arugula first, then bacon, then egg. Add salt and pepper to taste. Garnish with parsley. 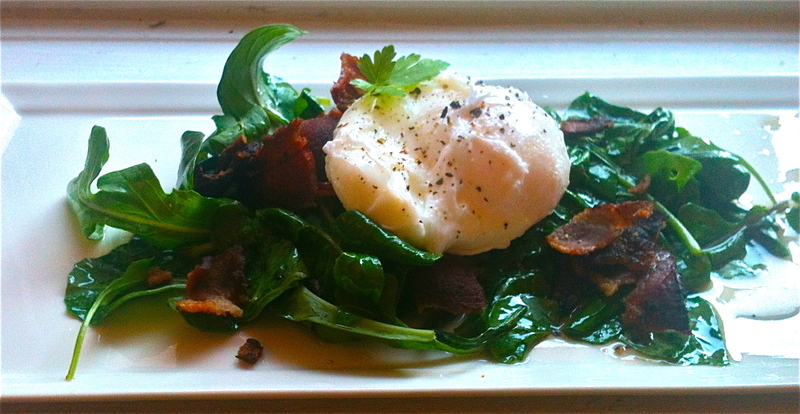 Make sure to break the yolk over the arugula so that it becomes a sort of dressing of its own. Mmmm.